Designed to accommodate 77mm to 114mm threads, the Defender Lens Cover is the ultimate glass protector. The uber-rugged design incorporates a rigid molded ABS lens plate with soft elastomer that ensures both ease of installation, and security so that it stays in place. 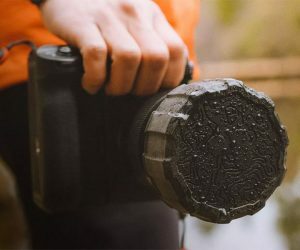 If you do most of your snapping in the great outdoors, then this is the cover for you. 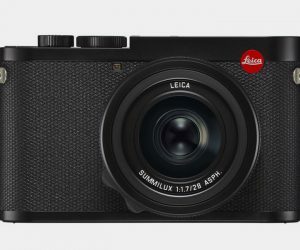 It’s been a good few years in the making, but well worth the wait for the Leica Q2 that features a 28mm Summilux ASPH lens with an f/1.7 aperture and a very generous 47.3MP full frame sensor. Other treats include 4K video capability up to 30 frames per second and full HD at up to 120. 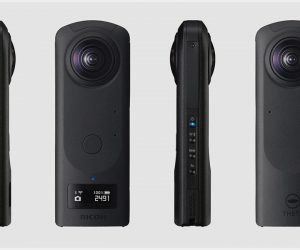 Another gamechanger–you’ll struggle to find another sub- $1,000 360-degree camera with as many qualities as the marvelous Ricoh Theta Z1. Its two lenses each have one-inch sensors for greater light for more detailed shots, while variable apertures reduce chromatic aberration and ghosting. Resolution is 23MP, the battery’s good for an hour of video (4K) and there’s 19GB of internal memory. 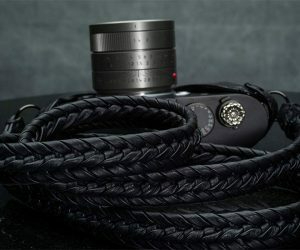 The Rolls Royce of camera-carrying accessories, the Vi Vante Camera Straps are braided by hand from high-end leather, and each one takes more than three hours to make. The braids are weaved in a way that leaves them flat on the inside for comfort and raised on top for panache, and each strap comes with electroplated gunmetal mounting rings. 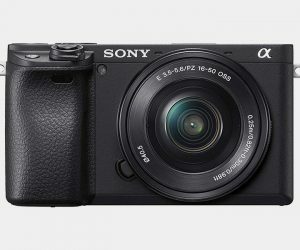 A reimagination of the APS-C mirrorless camera for the social media generation, the Sony A6400 sports a 180-degree flip LCD screen perfect for taking selfies and vlogging, and with a reinforced body for peace-of-mind adventures. The stand-out feature, however, is the revolutionary autofocus that is miles ahead of anything else available in this price range. 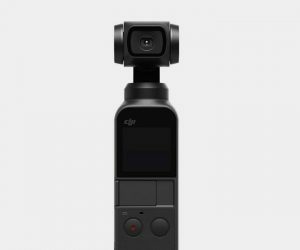 Not only the smallest three-axis stabilized handheld camera that the firm has ever manufactured, the DJI Osmo Pocket Camera also offers among the best bang for your buck out there. With a gimbal accurate to 0.005 degrees, it shoots 4k/60Fps video at 100Mbps and 12MP photos and comes with a dedicated app with a fantastic range of editing tools and links to an online community.